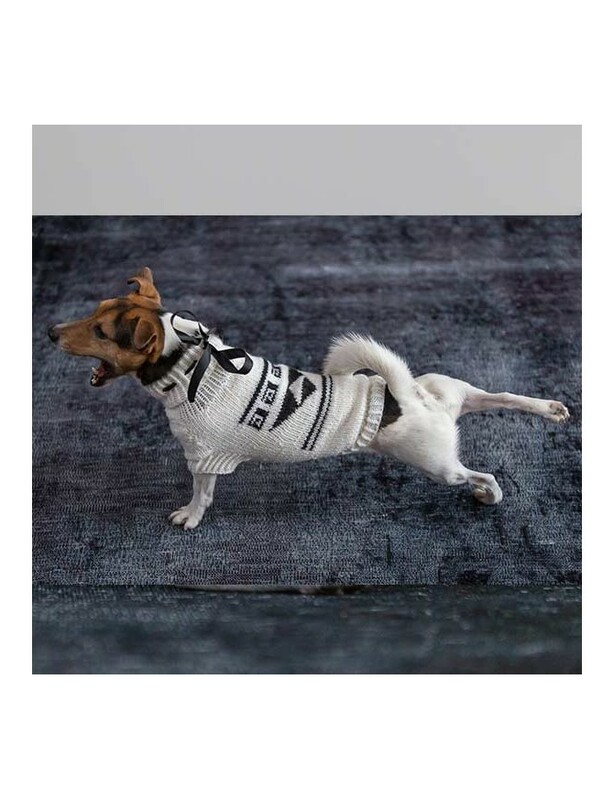 The Wooldog’s Black & White series is a collection of four fascinating sweaters which are a feast for the eyes. Their patterns have been individually designed. Every sweater is contemporary and minimalistic. According to Coco Channel’s statement, white and black are the only colours which can be considered to be true. The black colour is the symbol of strength, and it creates an impression of a very classic design in pair with the neutral white colour. The Black & White sweaters are made of wool yarn which is a bit thinner. They are perfect for walks and wearing at home. 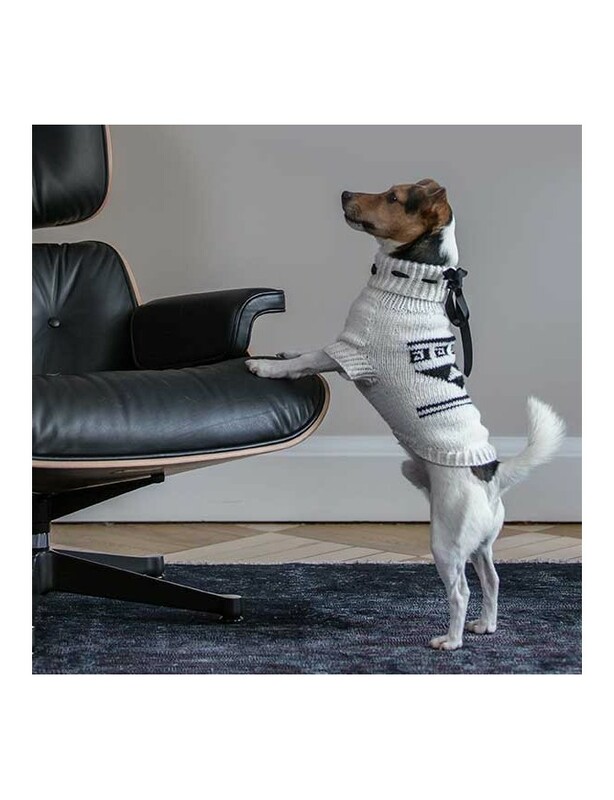 The roll-neck guarantees that your dog feels warm during colder days. Upon your request, we can weave a black or red satin ribbon into the high collar of every sweater. It will enhance the stylishness of your four-legged friends.